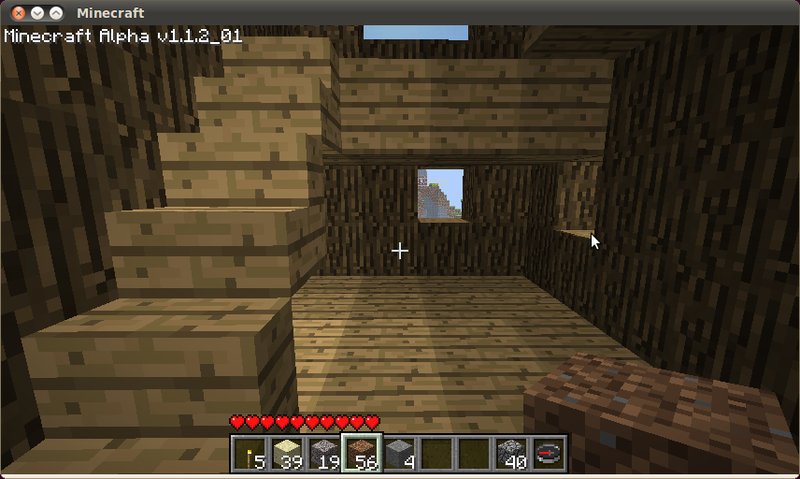 I've been playing ​Minecraft. I can't rave enough about it, so I won't. 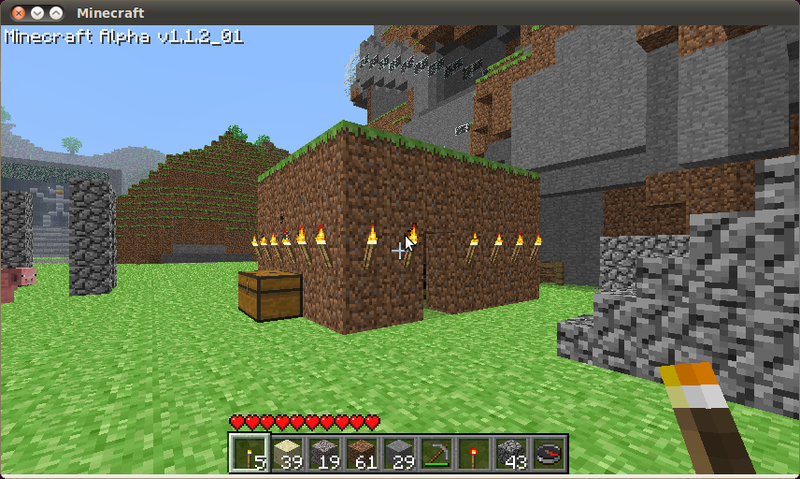 But here's a little scenario I set up for a coworker on our survival mode multiplayer server. It was actually the second of two sets of puzzles I set up. I think this one worked out better, and it was easier to go back and get screenshots of each part. It begins at the top of the observatorium tower. 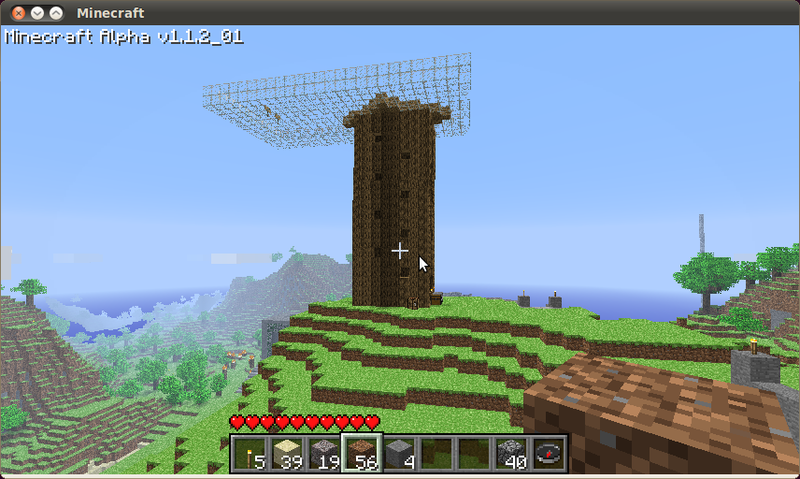 The giant flammable wood tower, that's part of the observatorium. The glass surface up there, Anton built that for everyone to be able to appreciate the view, supposedly. 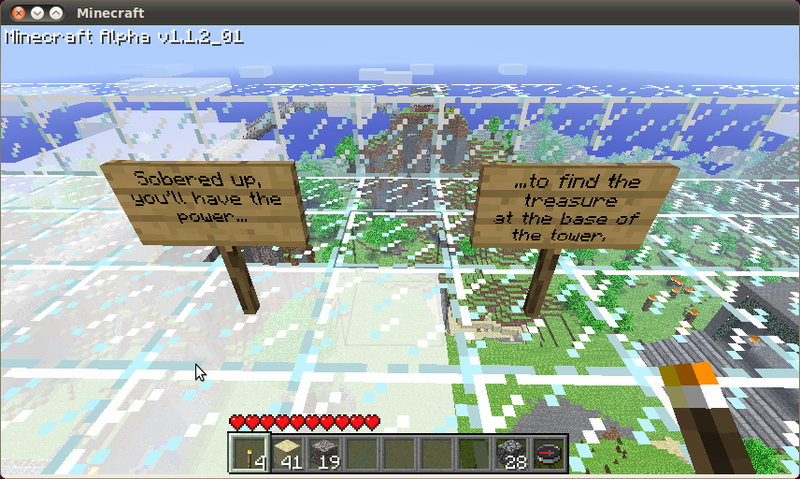 The two signs up on the glass surface, those are the first clue for Anton. Anton dug around the base of the tower. 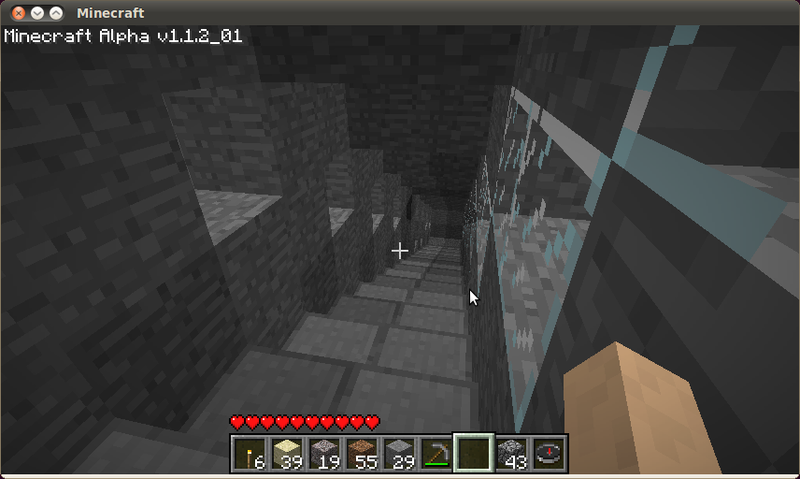 I basically had to force him to look behind the stairs at the base of the tower. 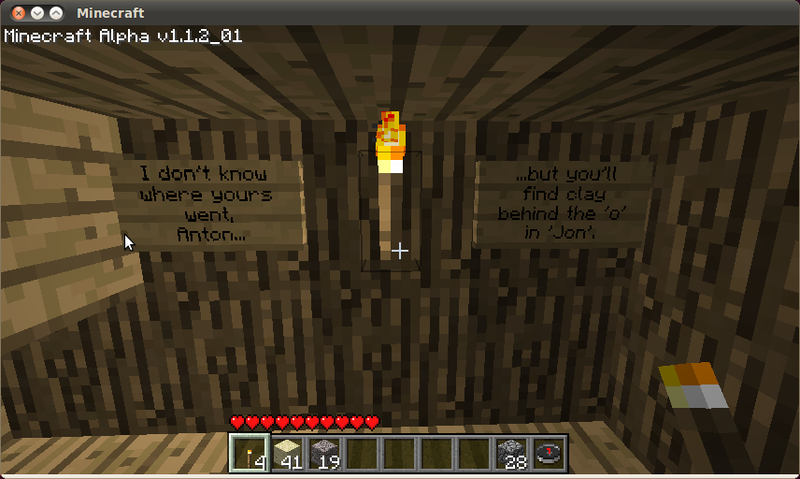 The background here is that Anton had found some clay but lost it. 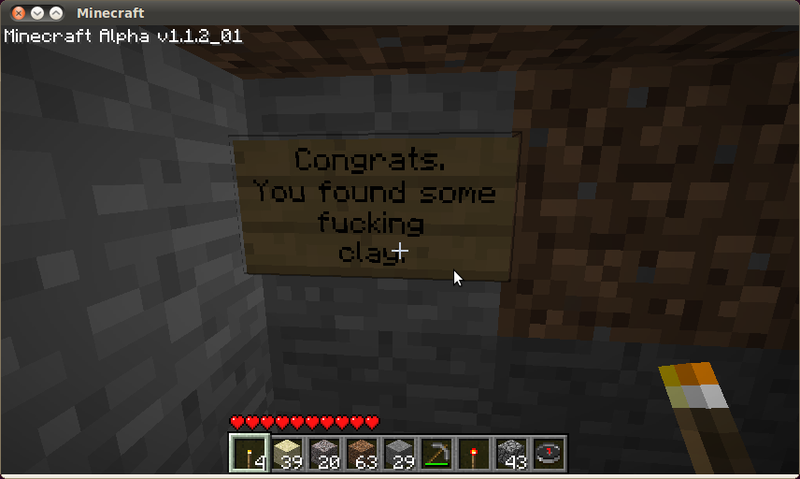 It vanished from a chest or something. I suspect it was a bug in the game, as we've all mysteriously lost rare items on the server, but it may have been a thief. 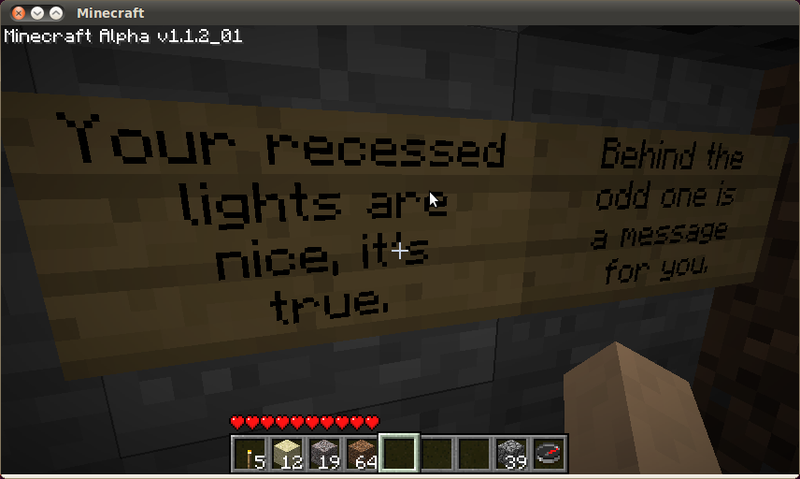 I found more than I needed and left a gift with this puzzle. But what's this about the 'o' in 'Jon'? 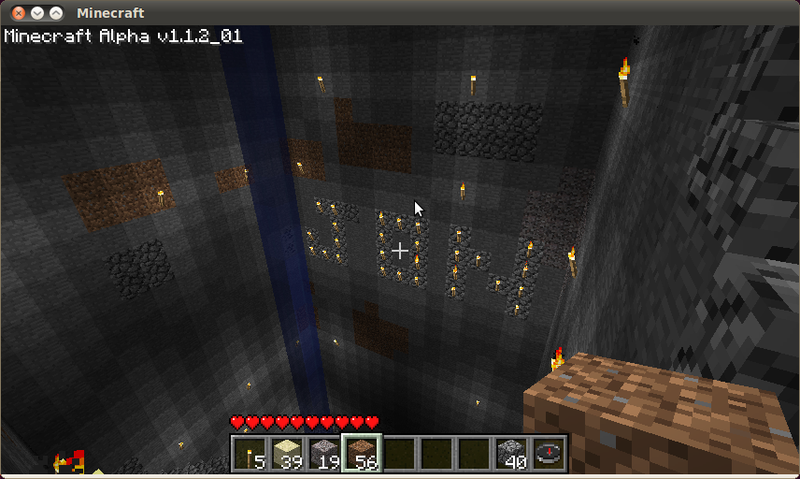 That of course referred to this name emblazoned in the side of our biggest mine entrance. Getting behind the 'o' requires some acrobatics or scaffolding. Anton chose acrobatics. Back to the lower building of the observatorium are found several sets of stairs with torches in small holes in the wall. Anton is proud of these. One of them isn't the same as the rest. 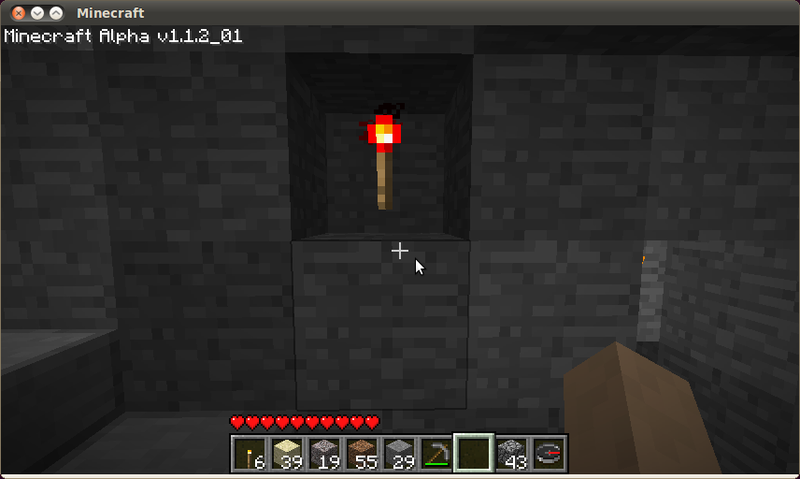 It's this one, with a redstone torch in it instead of a normal torch. We only have one shed. It's getting easy. 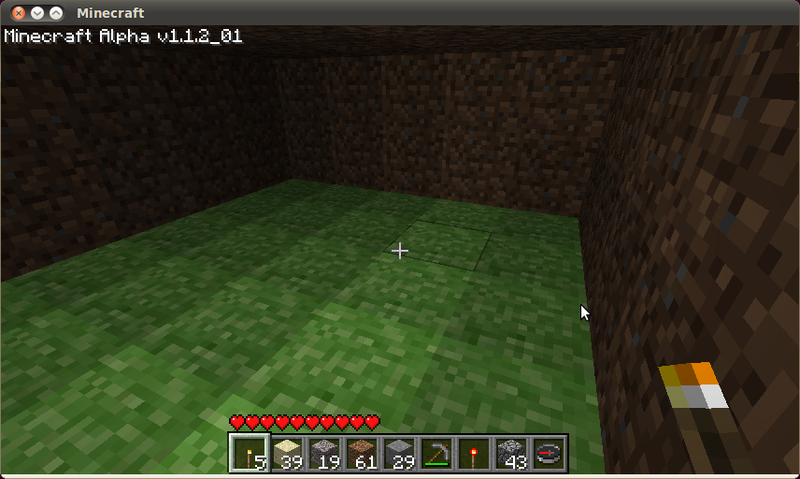 Under the shed is a hidden room. 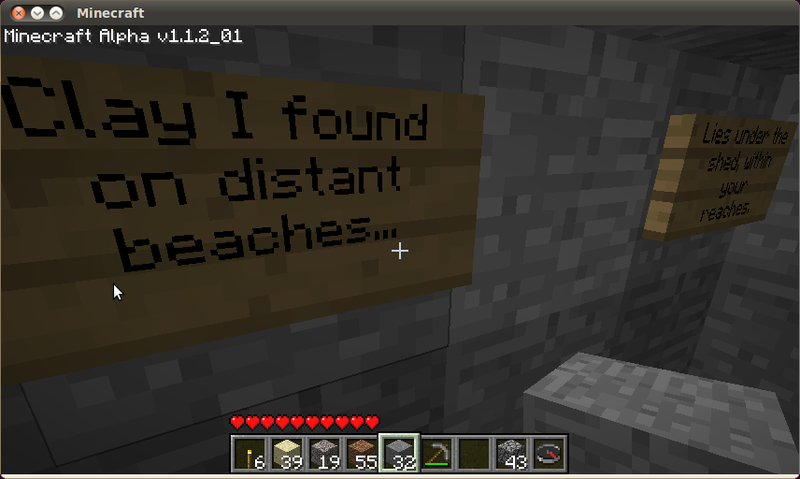 I think I picked up the signs, so here's a picture of where the message isn't but once was.